The Gifted is an American 60 minute scripted science-fiction television series, which kicked off on October 2, 2017, on FOX and is broadcast every Tuesday at 20:00. The show is currently in its 2nd season. FOX opted not to pick up The Gifted for Season 3. The Gifted officially canceled on FOX. Sign up to track down your favorite TV shows. 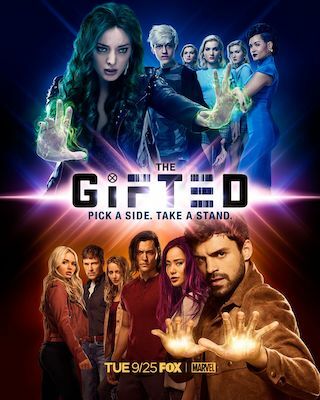 The Gifted tells the story of a suburban couple whose ordinary lives are rocked by the sudden discovery that their children possess mutant powers. Forced to go on the run from a hostile government, the family joins up with an underground network of mutants and must fight to survive.